Earn $2.18 in Rewards credit. Click to learn more. 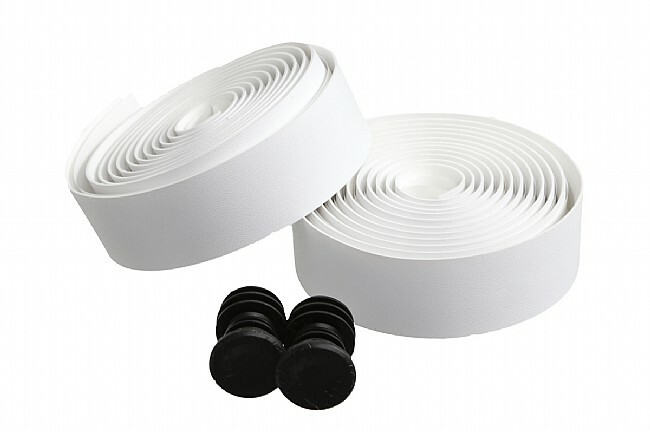 Stylish handlebar tape with silicone backing. Includes finishing tape and bar-end plugs. Black, silver or White. This tape is easy to apply because of the sticky tape on the underside. It is comfortable and absorbs shocks. This is my 3rd set on different bike. Smooth finish. Very comfortable. Perfect sporty thickness. White stays pretty clean, but not quite as clean as fizik. Padded to absorb some shock. I do long rides and have carpal tunnel. This tape is stylish and easy on my hands. Took less tha 30 min to install. Looks great. Feels great. Easy to wrap (and rewrap as required to get it right) with good stretch. I wanted to try white and several other comments said it stays clean so I gave it a try. I agree, the white stays clean amazingly well. I would rate the cushioning as medium. My one issue is if you sweat a lot (this bike is in Hawaii) it gets quite slippery so for hot climates I would recommend one of the other PRO bar tapes. They are all high quality products at great prices. This tape is phenomenal in that it seems to be dirt-phobic. I ride gravel, CX, and single track often, and this tape does not show allow dirt to stick. I ordered white and have about 350 miles of off-road use,... and they tape is still crispy white. I don't know how they make this stuff, but it is great. I will never go away from these. Comfortable and the white stays clean! Soft and cushy. It's grippy but not as grippy as lizards skins. Not that many silver colored bar tape out there. Over very good. Good price for what appears to be a nice roll of tape. time will tell if it holds up to the rain/etc. price was right and color was right and my current tape needed replacing. I love this tape its easy to apply, looks good for a long time. I get the white and normaly white is hard to keep clean, but this tape has a coating or something on it and the dirt wont stick to it, it stays white all the time. I ride 350 miles a week and thats a lot of road dirt, this tape hangs, its comfortable and stays clean, love it! Great tape that looks good and has a good feel. I used black and it looks great on my bike, replaced red tape that looked horrible. Good cushion feel to it and it wrapped easily, has just enough stretch, but did not feel like it was going to tear either. The best of leather and silicone! 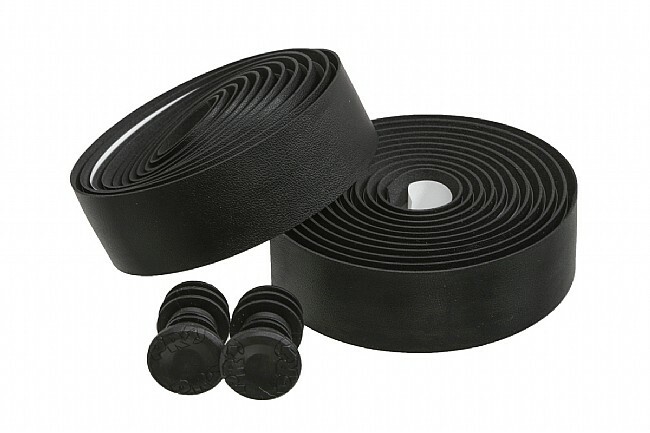 This tape is fabulous and combines the best of leather and silicone. It feels like leather, yet is sticky with moderate cushioning. Moderately stretchy which makes for a very clean, professional look. In black it has no cleaning issues. I prefer this to Cinelli (cork and gel) and the Deda Elementi. It is slightly better than Prologo Double Touch.